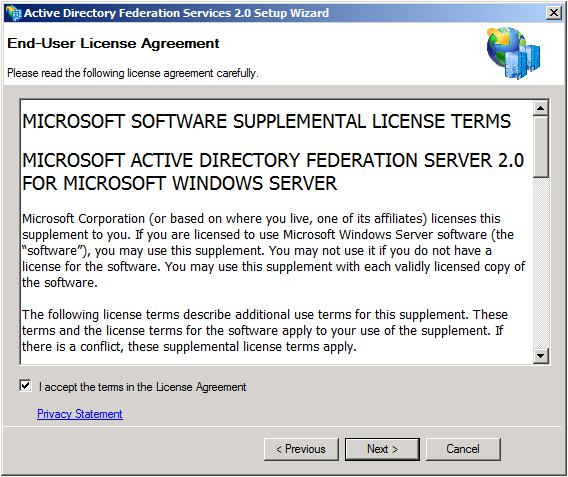 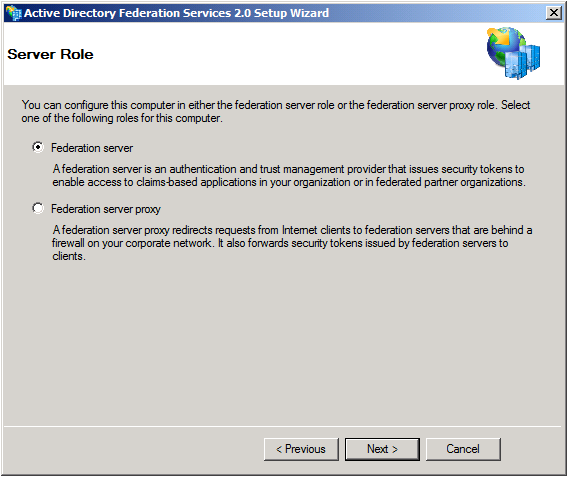 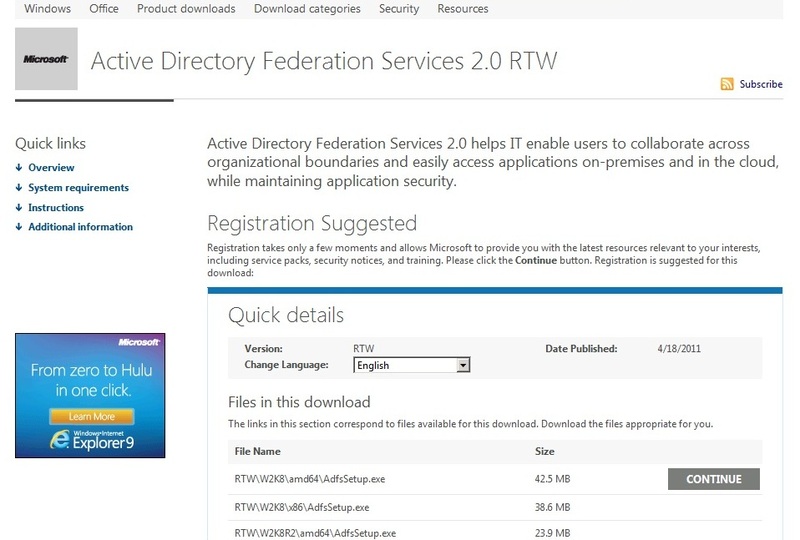 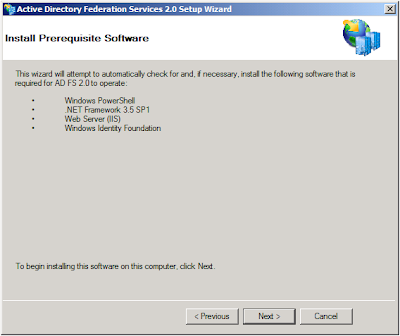 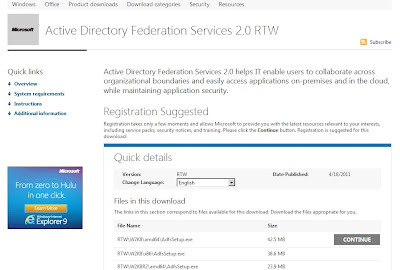 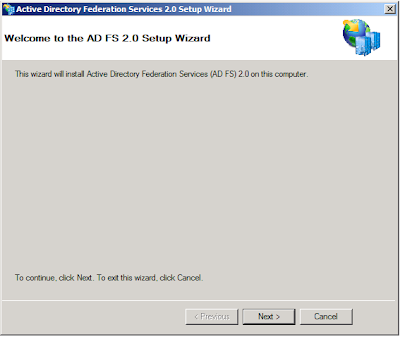 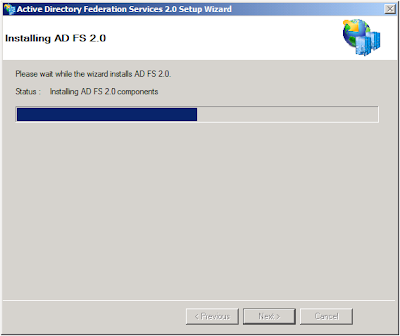 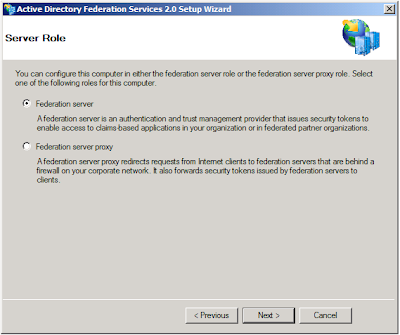 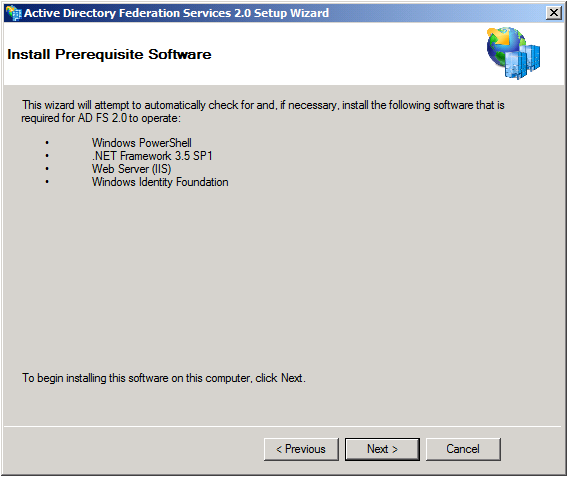 You must install AD FS 2.0 on any computer that you are preparing for the federation server role for Office 365 identity federation. 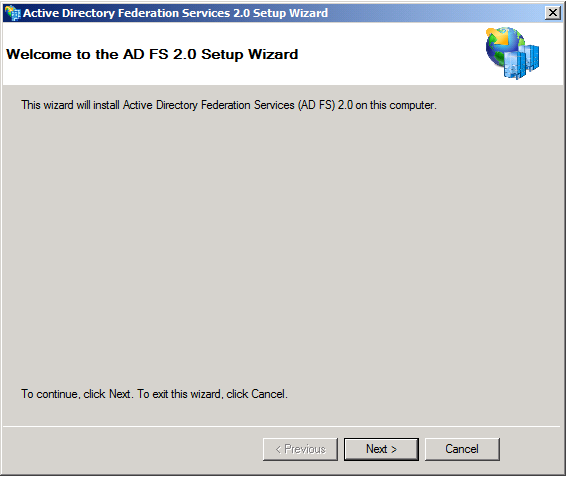 Locate the AdfsSetup.exe setup file on where you have downloaded it, and then double-click it. 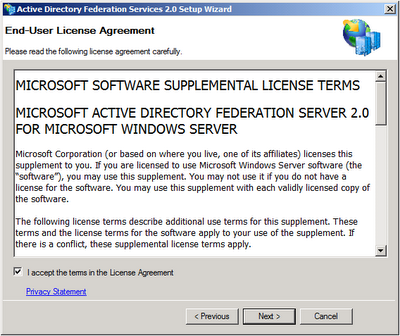 On the End-User License Agreement page, select the I accept the terms in the License Agreement check box, and then click the Next button. 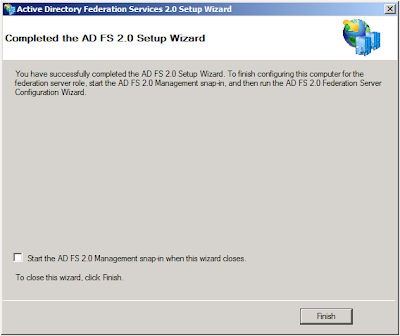 Once it is done, on the Completed the AD FS 2.0 Setup Wizard page uncheck the Start the AD FS 2.0 Management snap-in when this wizard closes box and click Finish. Install all of the hotfixes as indicated in Description of Update Rollup 1 for Active Directory Federation Services (AD FS) 2.0.